The opening ceremony kicks off at 10.30am CET and the con will be packed with with talks, events and special guests, including Chris Delay and Peter Molyneux. If, like most of us, you can’t make it to Disneyland Paris, here’s how you can keep up with everything that happens. 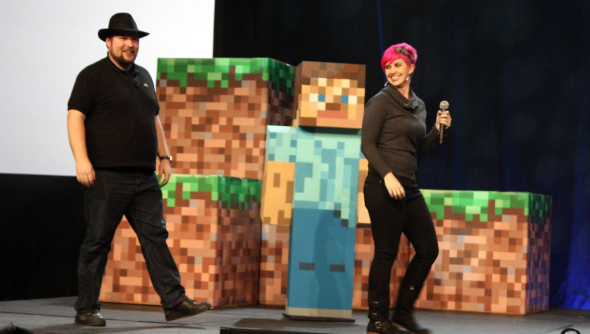 Gamespot will be hosting a Minecraft live stream over the weekend, covering all the biggest events, while the main Minecon site will transform into a liveblog. Naturally, Twitter will be abuzz with updates, tagged #MINECON2012. You can find the full schedule for the weekend over on Mojang’s blog.